Detailed info is after the jump! I was bored, so I decided to search through the YouTube universe. Here's a few funny videos that you guys can watch if you're bored too! Obviously, I'm Ernie and BlazenHawks is Bert. This would probably only be funny to a few of you. Click read more for more silly videos. If you're bored and would like to see a few highlights, here's some that I've uploaded. This was Darren McFadden running for the Rams (Jerhawk) against Deus Legend (Cardinals). In our Online Franchise, this was a game against the CPU (Saints) where QB Kelly James of the throwback Seahawks (Jerhawk) throws a perfect strike to WR D.J. Crosby in double coverage for a TD. From Fifa 10 in the Be a Pro mode, my created character gets his first shot blocked, but somebody else on the Sturm Graz FC club cleans it up. Also from Fifa 10 in the Manager mode with the Seattle Sounders FC club, a perfect free kick for a goal. If you have any highlights to share, please leave a comment with your gamertag so we can check you out on easportsworld.com. Thanks. Even though baseball is labeled as a team sport, any good fan knows how easily a game can come down to the dramatic interaction between a great pitcher or hitter. The sports equivalent of a duel. This special installment of the MLB 2K10 Hitters vs. Pitchers series focuses on the retooled hitting and pitching mechanics in the game. Ubisoft announced today that the next installment in its hit Ghost Recon series will be hitting shelves this holiday season for PlayStation 3, Xbox 360 and PC. Tom Clancy’s Ghost Recon: Future Soldier (which just sounds like a streamlined way of saying “Advanced Warfighter,” right?) is being developed by Ubisoft Paris, the team behind the Advanced Warfighter and Advanced Warfighter 2.Ubisoft says the game "will go beyond the core Ghost Recon franchise and deliver a fresh gameplay experience, with an unparalleled level of quality that will excite long-time fans and newcomers alike." There will also be a multiplayer beta this summer, but if you want access to it, you’ll have to pick up a copy of Splinter Cell: Conviction. Infinity Ward's Rob Bowling has tweeted the exact release date of the first batch of DLC for Modern Warfare 2. It’s exactly spring. Not the most concise of timeframes but we appreciate the informaton regardless. We predict the downloadable content might be called something along the lines of Map Pack 1 and be extremely popular. Hello everyone, welcome back to our final episode for this season of NFL Picks. I hope you guys enjoyed doing these as much as I did. Nobody got the SuperBowl picks correct. Everyone went with the Colts. However, JohnnyX77 did choose the Saints back in Week 12 as his SuperBowl winner, so he'll get his 3 points. Congradulations to KnightnBattle10 for winning this year's NFL Picks. He now joins Jerhawk as the only two people to win this competition, and wins the Jerhawk Cup. Sadly, when attempting to hand the trophy off to his brother, KnightnBattle5, disaster strikes. Hopefully we'll be doing this again next year. If you guys have any suggestions/complaints/questions about NFL Picks for the future, we'd love to hear it. Again, thanks to everyone that participated, and have a great offseason. Instead of us closing our doors, we would like to add new content to the site. But just not any type of content, we will add content our fans would like us to include on our site. Vote in the poll at the right or leave a comment on what you would like us to add to XBLN to expand our community. 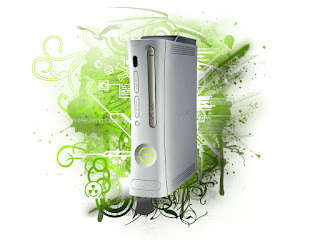 It's been no secret that original Xbox games and systems have been the vestigial limb holding back much wanted XBL features including raising the limit on our friends list to over 100 or mobile tie-ins, and on April 15 Live access for all of them comes to an end. 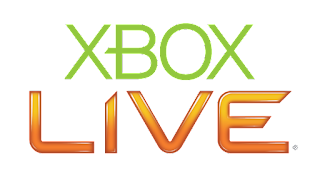 Even those Xbox Originals downloaded to the 360 or played via backwards compatibility will be cut off from online play, so we'd suggest getting those last few rounds of Halo 2 in now or at least look into an alternative solution like XBConnect. I know a few of you have already chosen for the Super Bowl (worth 5 points), but if you haven't chosen yet, or wish to change your pick, here's the place to do it. Deus Legend and BlazenHawks have 5 extra bonus points riding on the line for picking the Colts back in Week 10 to win the Super Bowl, while JohnnyX77 has 3 bonus points going for him if the Saints win, since he chose them back in Week 12. I hope you all enjoy the game. I know I will!